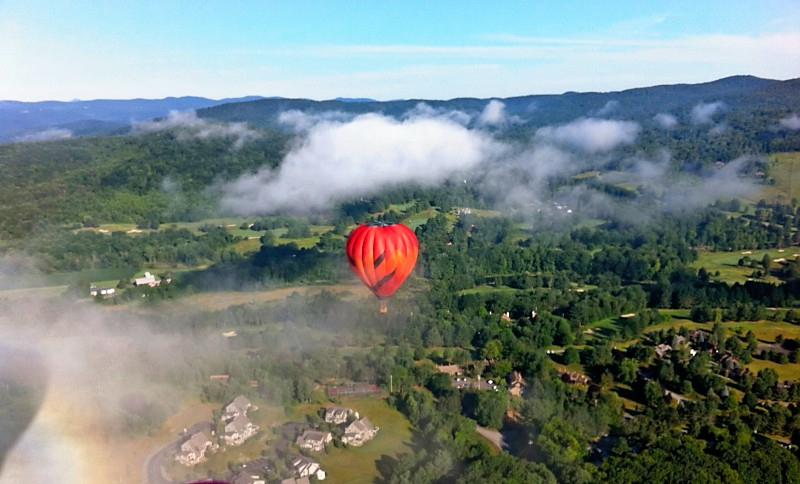 Quechee Balloon Rides, LC.VT hot air balloon ridesQuechee Balloon Rides, LC. Even after flying commercially for 10 years we still prefer to fly "smaller balloons". 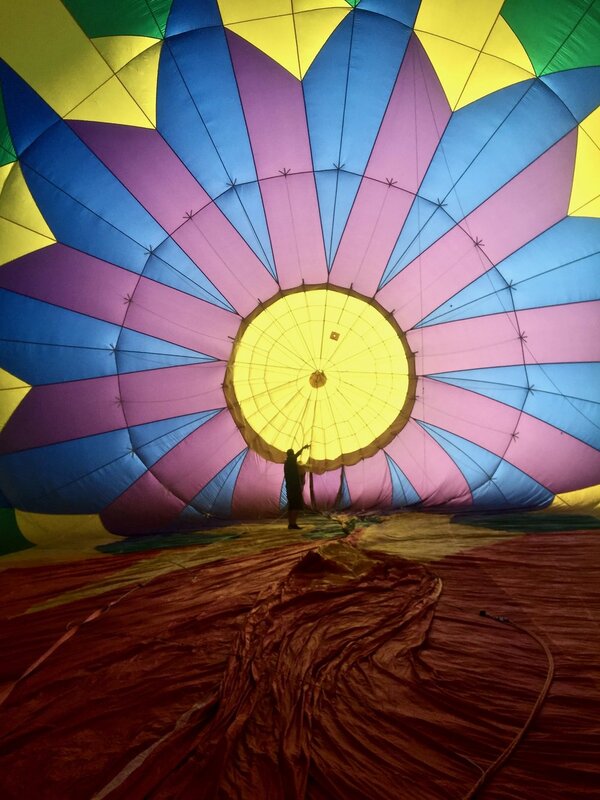 Our largest balloon is 105,000 cubit feet, which can carry 4 adult passengers plus the pilot. This offers all of our guests an intimate experience, in which everyone can easily engage with the pilot, ask questions, talk to one another, hear everything, and not blend into a large multi-party group. Groups of 4 automatically get a private basket, try finding this value anywhere else. Smaller balloons can also maneuver faster and more easily than large ones; They react to heat faster, and can land in smaller fields (which is necessary in the part of the country). They don't carry as much momentum, and simply are easier to control. 8-14 passenger balloons are 2 to 3 times the volume and much heavier, making for a vastly different experience. I first named this balloon Roy G. Biv, but during my third season flying it I found out the balloon had received the name "Carrots" by children in my neighborhood. Confused, I asked them about it and was quickly shown that the orange and green form the shape of a carrot, 14 in total, something I had never noticed. It's funny how perspective changes with age. The name was changed immediately. Largest Basket available for passenger amount (designed to carry 6 passengers) - very comfortable. We set Jackie up in the front yard on Halloween to pass out candy to kids. Someone in Maine has this exact balloon tattooed on their leg.